Virtue is a topic that we write about often at Harrison Middleton University. Merriam-Webster defines virtue as: “1. morally good behavior or character, 2. a good and moral quality, 3. the good result that comes from something”. In other words, virtue is extremely difficult to define because it depends upon the subjectivity of how one qualifies goodness. I may agree with one politician, for example, and you may agree with another. If we do not agree on the virtuosity of their actions, have we also destroyed or limited virtue itself? I don't think so. Virtue's strength may also stem from this same issue that I call a weakness. “Good” is not the same as virtue, but leads us to a better understanding of virtue. It is necessary, then, to discuss what we qualify as good in order to create and understand a cultural “goodness”. Plutarch writes endlessly about virtue and morals in The Lives of the Noble Grecians and Romans. In an attempt to better understand virtue, I have posted an entire passage taken from his introduction to “Pericles”. I think he offers valuable insights about the idea of virtue itself and I hope you agree. Thank you! “Caesar once, seeing some wealthy strangers at Rome, carrying up and down with them in their arms and bosoms young puppy-dogs and monkeys, embracing and making much of them, took occasion not unnaturally to ask whether the women in their country were not used to bear children; by that prince-like reprimand gravely reflecting upon persons who spend and lavish upon brute beasts that affection and kindness which nature has implanted in us to be bestowed on those of our own kind. With like reason may we blame those who misuse that love of inquiry and observation which nature has implanted in our souls, by expending it on objects unworthy of the attention either of their eyes or their ears, while they disregard such as are excellent in themselves, and would do them good. “The mere outward sense, being passive in responding to the impression of the objects that come in its way and strike upon it, perhaps cannot help entertaining and taking notice of everything that addresses it, be it what it will, useful or unuseful; but, in the exercise of his mental perception, every man, if he chooses, has a natural power to turn himself upon all occasions, and to change and shift with the greatest ease to what he shall himself judge desirable. So that it becomes a man's duty to pursue and make after the best and choicest of everything, that he may not only employ his contemplation, but may also be improved by it. For as that colour is most suitable to the eye whose freshness and pleasantness stimulates and strengthens the sight, so a man ought to apply his intellectual perception to such objects as, with the sense of delight, are apt to call it forth, and allure it to its own proper good and advantage. “Such objects we find in the acts of virtue, which also produce in the minds of mere readers about them an emulation and eagerness that may lead them on to imitation. In other things there does not immediately follow upon the admiration and liking of the thing done any strong desire of doing the like. Nay, many times, on the very contrary, when we are pleased with the work, we slight and set little by the workman or artist himself, as, for instance, in perfumes and purple dyes, we are taken with the things themselves well enough, but do not think dyers and perfumers otherwise than low and sordid people. It was not said amiss by Antisthenes, when people told him that one Ismenias was an excellent piper. 'It may be so,' said he, 'but he is but a wretched human being, otherwise he would not have been an excellent piper.' And King Philip, to the same purpose, told his son Alexander, who once at a merry-meeting played a piece of music charmingly and skillfully, 'Are you not ashamed, son, to play so well?' For it is enough for a king or prince to find leisure sometimes to hear others sing, and he does the muses quite honour enough when he pleases to be present, while others engage in such exercises and trials of skill. “He who busies himself in mean occupations produces, in the very pains he takes about things of little or no use, an evidence against himself of his negligence and indisposition to what is really good. Nor did any generous and ingenious young man, at the sight of the statue of Jupiter at Pisa, ever desire to be Phidias, or on seeing that of Juno at Argos, long to be a Polyclitus, or feel induced by his pleasure in their poems to wish to be an Anacreon or Philetas or Archilochus. For it does not necessarily follow, that, if a piece of work please for its gracefulness, therefore he that wrought it deserves our admiration. Whence it is that neither do such things really profit or advantage the beholders, upon the sight of which no zeal arises for the imitation of them, nor any impulse or inclination, which may prompt any desire or endeavour of doing the like. We have been discussing the idea of virtue for the past few weeks on this blog. If you have not seen those posts, you can read them here and here. We would be remiss, however, to discuss virtue without at least a nod in the direction of vice. Last week, we discussed the idea of virtues learned through the physical body, as in the case of Olympic athletes, say. But often, with that amount of introspection bent towards the goal of perfection, the goal can become perverted into the idea of greatness. In fact, it is often difficult to differentiate the idea of perfection from greatness. This may be why some of the authors the Great Books are split on the idea of whether or not someone can be virtuous in certain ways, while at the same time displaying elements of vice. Some authors believe that to be virtuous, one is always, and in all activities, directed towards virtue. Others, however, argue that dipping into vice teaches a valuable lesson about the importance of vice. In other words, one who has learned intimately of a particular vice will be better prepared to deal with it in the future. One example, Milton's Paradise Lost, demonstrates the complexity of the argument with his characters God and Satan whose virtues and vices can, at times, confuse the reader. We have already attempted to define virtue, but perhaps this is not the best path for such a complicated question. As in Plato's “Meno”, we tried to define the particular thing, but instead went round and round, just like Socrates and Protagoras (who ironically end up on the opposite sides of their own arguments). Another way of looking at the idea is in the way(s) we find virtue. Aristotle claims that “some think we are made good by nature, others by habituation, others by teaching”. Therefore, if we are good by nature, then vice is only created by humans, but not an inherent trait. If we know of virtue by habit or education, however, then we may be allowed an understanding of both virtuous behavior as well as evil behaviors. The education, training and habits, then, intend to rid us of our evil ways. It appears that cultural laws drive much of our present definitions of virtue and vice. John Locke reminds us that no matter our current cultural understanding of these terms, virtue is always seen as beneficial and vice as a negative. Kant views virtue as separate from vice. He does not allow for knowledge of vice. He writes, “Morality is not properly the doctrine how we should make ourselves happy, but how we should become worthy of happiness.” One cannot become good or bad, but is already so. He continues, in the Metaphysics of Morals, “There is no one, not even the most consummate villain, provided only that he is otherwise accustomed to the use of reason, who, when we set before him examples of honesty of purpose, of steadfastness in following good maxims, of sympathy and general benevolence (even combined with great sacrifices of advantages and comfort), does not wish that he might also possess these qualities.... What he morally 'ought' is then what he necessarily 'would,' as a member of the world of the understanding, and is conceived by him as an 'ought' only inasmuch as he likewise considers himself as a member of the world of sense”. For Kant, our innate response is from the laws of duty, leading towards virtue. Therefore, reason will direct us to the correct decision. This argument is particularly interesting in light of Kant's Science of Right, in which he discusses the actions of monarchs. Since Kant uses natural laws to define the virtuous individual, at times these laws may be in conflict with contractual laws. He claims that the formal execution of a monarch goes against all ideas of virtue since it is against both natural and contractual laws. And this is true, according to Kant, regardless of the monarch's behavior. In his eyes, the citizen's only path to virtue is through duty to self and human morality. For Kant, desire plays no part in virtue, which means that Kant's definition of virtue is not limited to the definition or restraints of contemporary thought. 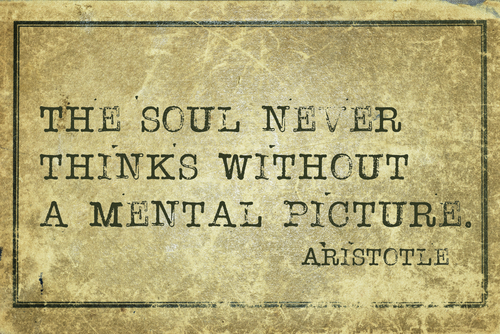 Likewise, Aristotle would have humans pursue virtue through rational behavior that aligns with the betterment of the soul. Authors such as Plato, Pascal and Kant rely on the idea of infinity to expand our conceptual knowledge to something greater than ourselves. The concept of infinity, then, drives the human ability to find something greater. The argument in Plato regarding infinite versus finite grants the ability to think in terms larger than ourselves, but since the concept is so abstract, the idea of summom bonum might make more sense to someone who believes in an all forgiving or charitable deity. The discussion of summom bonum, or the greatest good, is, of course, an important element of this discussion. Kant believed that individual desires act in accordance with a universal law. Kant separated emotion out of the highest good, focusing on the path of reason instead as it leads to the highest good. He thinks that actions based upon emotions are not free, but actions based upon reason attain freedom. Kant's hypothetical imperative is any action based upon desires, because it applies only if you desire the end. His categorical imperative applies to all, regardless of desires. “Act only on that maxim through which you can at the same time will that it should become a universal law”. Hegel was concerned about Kant's separation of emotion and reason. For Hegel, history represents the progress of human development, including virtue. Instead of freedom attained through duty, Hegel posits that history leads to freedom. Through the development allowed by the growth of civilizations, Hegel writes that the “concept of God, constitutes the general basis of people's character”. In general, it seems that summom bonum is tied to duty or morality or purpose, but not necessarily to deity. And for Aristotle, summom bonum equals virtue and friendship. Another way to view this question might be: Does the person who views God as the highest good better understand the concept of summom bonum? Or, like Kant claims, are we all endowed with the ability to know virtue? I can think of so many novels that develop this discussion of virtue in some form or other. The list includes those that delve into vices, like Trainspotting or Don Quixote and even The Hunger Games. I also think of Pride and Prejudice, Jane Eyre or Gulliver's Travels and even Montaigne's essays. It seems as though all characters and voices are searching within for a chance at this thing we call virtue, this form of happiness or peace. What about you? Can virtue be found through vice? Where do you find the discussion of virtue?